Prof. K.V. Thomas, Minister of State for Consumer Affairs, Food and Public Distribution has announced Rajiv Gandhi National Quality Awards for the year 2011. In the category of Large Scale Manufacturing Industry, Nokia Siemens Networks Private Limited, Kanchipuram, Tamil Nadu has been awarded for excellence quality standards while award for Large Scale Service Industry category has gone to R Systems International Limited, Noida, and Uttar Pradesh. Technocrat Connectivity Systems (Private) Limited, Rudrapur, Uttarakhand has bagged award in the category of Small Scale Manufacturing Industry. As per Census 2001, total houseless households in the country stood at 0.45 million. Census of India 2011 data on houseless households has not been released as on date, therefore, estimation of houseless households as of now and its comparison with the number in 2001 cannot be made at this juncture. However ‘Technical Group on Urban Housing Shortage’ has indicated that 0.53 million Households are in homeless condition in urban areas as of 2012. This was stated by Shri Ajay Maken, Union Minister of Housing & Urban Poverty Alleviation (HUPA), in the Rajya Sabha. Ministry of Panchayati Raj is tasked with the implementation of the Backward Regions Grant Fund (BRGF) Programme as per Government’s policy of ensuring balanced development. The BRGF Programme is designed to redress regional imbalances in development of 272 identified backward districts in the country. The funds there under provide financial resources for supplementing and converging existing developmental inflows into identified districts so as to bridge critical gaps in local infrastructure and other development requirements. As per the BRGF Guidelines, the Annual Action Plans prepared by the Panchayats and Urban Local Bodies (ULBs) are consolidated into the District Plans by the respective District Planning Committees which are then forwarded to the Ministry of Panchayati Raj, Government of India, by the respective State Governments for releasing the funds as per eligibility of the districts. The Satellite with Argos and Altika (SARAL) has been successfully launched on 25th February, 2013, onboard Indian Polar Satellite Launch Vehicle (PSLV) C-20 from Satish Dhawan Space Centre (SDSC), Sriharikota. SARAL is an oceanographic satellite jointly developed by Indian Space Research organization (ISRO) and the French Space Agency CNES. The satellite, weighing 407 kg, carries three payloads, namely ALTIKA (a Ka band altimeter) for studying the sea surface topography, ARGOS a data collection platform and a Solid State C-Band Transponder (SCBT) used for calibration of Ground Radars at SDSC, SHAR. The satellite is built by ISRO, whereas CNES contributed the ARGOS and ALTIKA payloads. The main objective of SARAL satellite is to develop and launch a joint Indo-French oceanographic satellite for applications like marine meteorology and sea state forecasting, climate monitoring, continental ice studies, environmental monitoring, protection of biodiversity and improvement in maritime security. To fast-track trade and Commerce with Association of South East Asian Nations (ASEAN) countries, India has signed Agreement on Trade in Goods under the broader framework of Comprehensive Economic Cooperation Agreement (CECA) between India and the ASEAN in 2009. India and the ASEAN have also concluded negotiations on Agreement on Trade in Services and Agreement on Investment in December, 2012. India has also entered into Comprehensive Economic Cooperation Agreements with Singapore and Malaysia which came into effect in 2005 and 2011 respectively. India and Thailand signed a Framework Agreement (Early Harvest Scheme) in 2003. 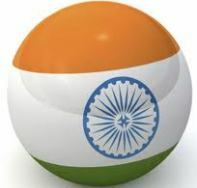 India and Thailand are presently negotiating a Comprehensive India-Thailand Free Trade Agreement. India and Indonesia have also agreed for negotiating a CECA. With a view to open up North-East region as a part of Look East Policy, the focus is on connectivity with the region including land, sea and air connectivity. With a view to promote exports from the North-East region, a North East Cell has been set up in the Department of Commerce. An Export Development Fund (EDF) has been set up with the objective of promoting exports from the region. Activities which have a linkage with exports from the region are eligible for assistance from the EDF such as setting up of pioneering/pilot projects aimed at exports, provision of equipment and machinery for the pioneering pilot projects aimed at export, creation of common facilities for boosting exports, facility for developing testing and standardization as well as quality improvement of export products. My Stamp’ was introduced in the country during the World Philatelic Exhibition in 2011 in Delhi. ‘My Stamp’ has two parts - the value part having a regular postage stamp and the personalized part which could be a thumbnail photograph of the customer, logos of institutions, images of artwork, heritage buildings, famous tourist places, historical cities, wildlife, animals and birds etc. The personalized part only is not a legally valid stamp. So far 12,17,496 ‘My Stamps’ have been prepared/issued. The facility is offered in selected post offices, generally for a limited period during special events, at the discretion of the Heads of Postal Circles. The Integrated Child Development Services (ICDS) Scheme benefits 927.65 lakh beneficiaries, which include 746.81 lakh children (6 months-6 years) and 180.84 lakh Pregnant & Lactating mothers. The scheme presently operates through a network of about 7025 operational ICDS Projects and 13.31 lakh operational AWCs, across the country, as on 31.1.2013, against 7076 approved and sanctioned ICDS Projects and 13.72 lakh sanctioned AWCs, respectively. ICDS is one of the flagship programmes of the Government of India and is largest community based outreach programme for early childhood development. It is implemented by the State Governments/UT Administrations by providing a package of services such as supplementary nutrition, pre-school non-formal education, nutrition & health education, immunization, health check upand referral services. The scheme is a well-conceived one to address health, nutrition and developmental needs of under-six children as well as pregnant and lactating women.